Over the past couple of years we have witnessed the rise of the custom scene in Spain. 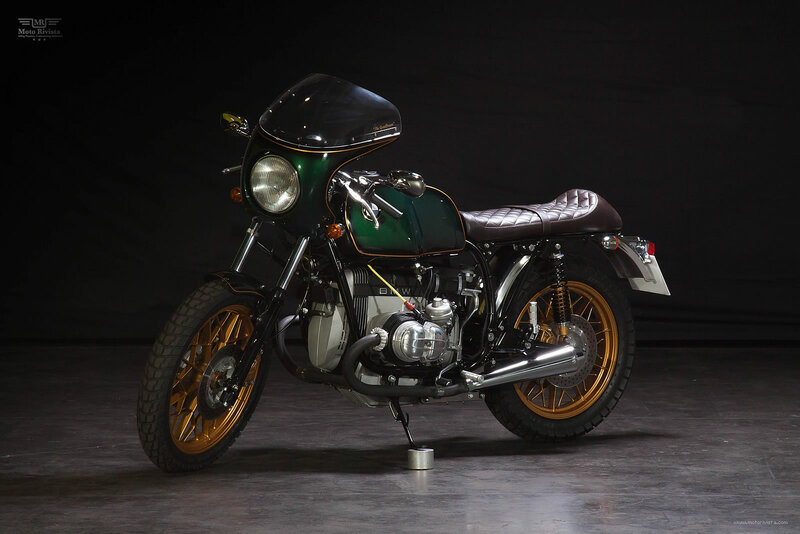 It started with a handful of custom builds and now a motorcycle culture is flourishing on a global scale. 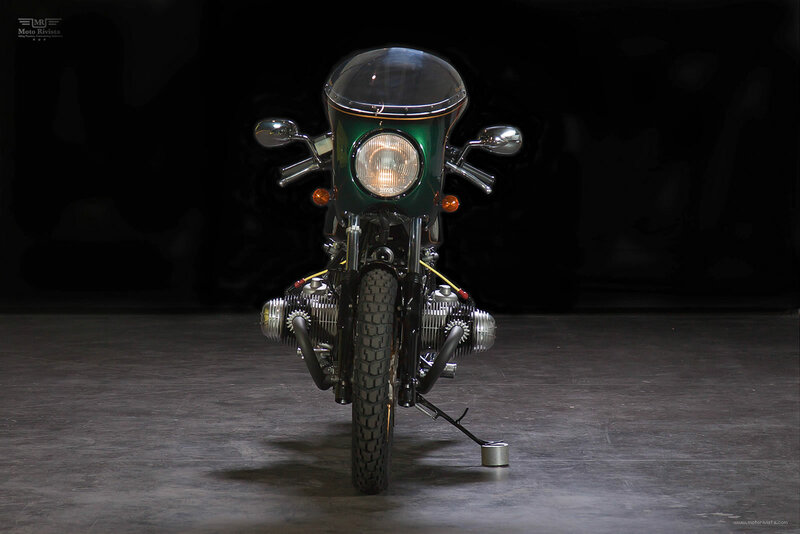 Today’s featured build a BMW R100RS Custom is a Spanish retro treat from C59R Cafe Racer Motorcycles. The GranDream, which as its name suggests is its owner’s dream come true, is a classic-style Cafe Racer for everyday use. 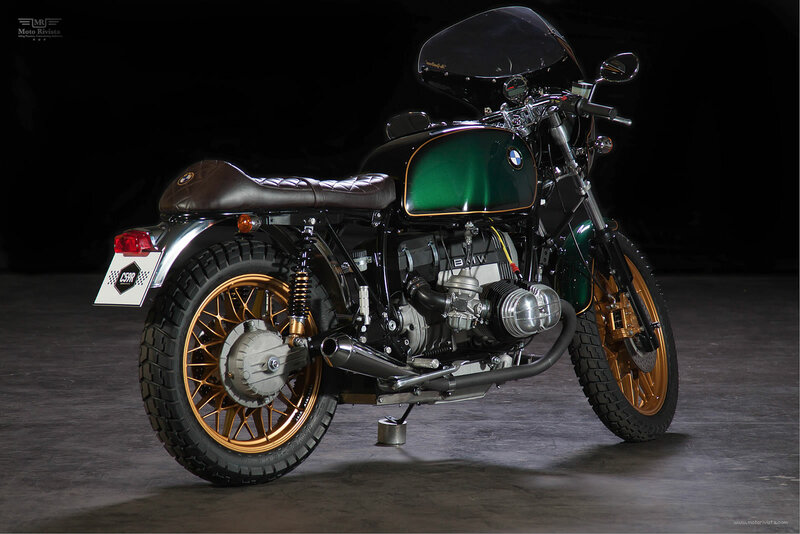 As with all C59R projects, the first thing that grabs your attention about this BMW R100RS custom Cafe Racer is its impeccable finish. 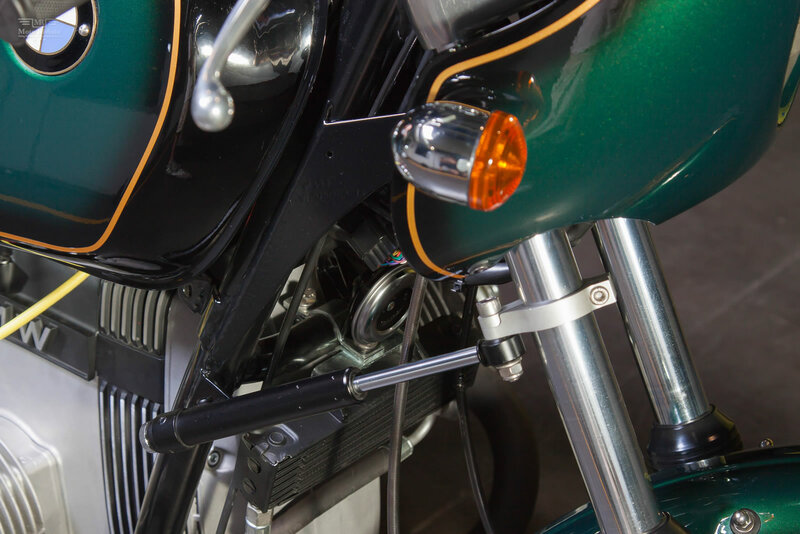 The top quality chrome, flawless burnished aluminum, stainless steel bolts & fasteners and detailed workmanship on each and every one of its parts is what distinguish this bike. 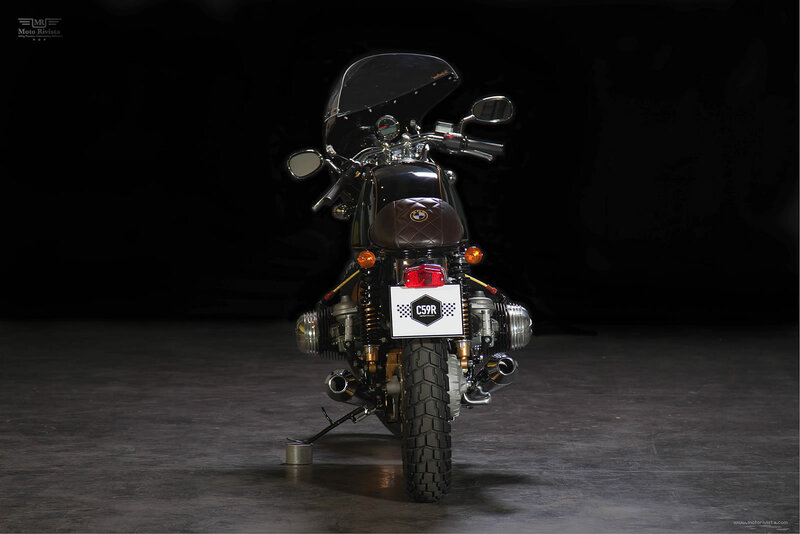 The front-end of this BMW R100RS custom features an adapted R90S fairing, whilst keeping the original throttle controls, clutch & lights, and the handlebars have been lengthened by 5cm on each side to improve handling. 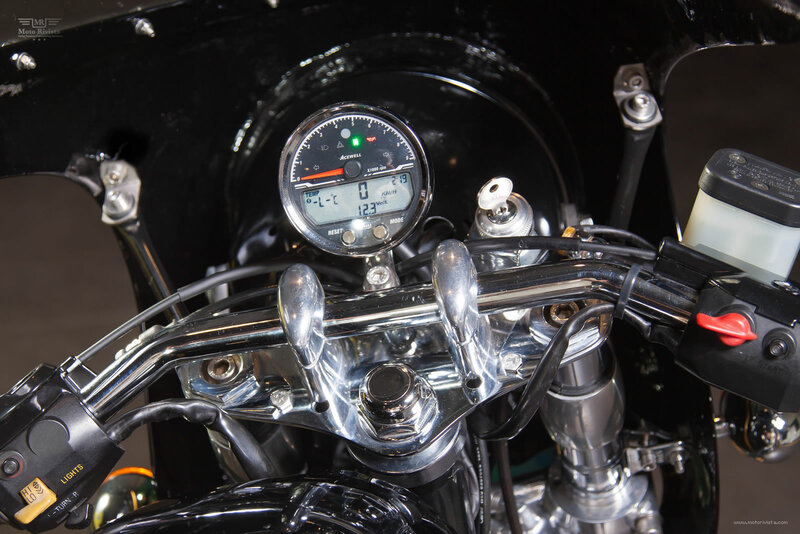 The star feature of the dash is an Acewell Series 4 gauge that links two worlds: analogue for the rev counter and digital for the speedo, odometer, temperature gauge, etc. 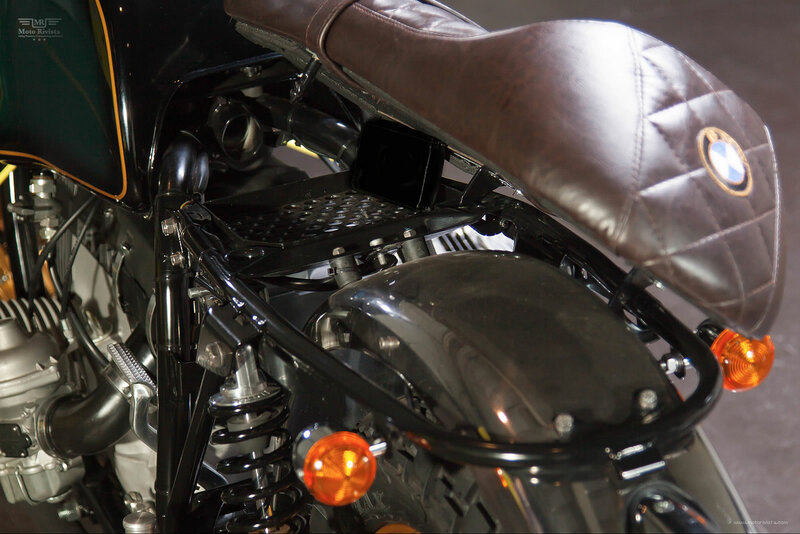 The ignition key has been mounted next to the Acewell gauge for easy handling. All key components of the engine & gearbox have been renovated, and the external finish is in keeping with the rest of the makeover. 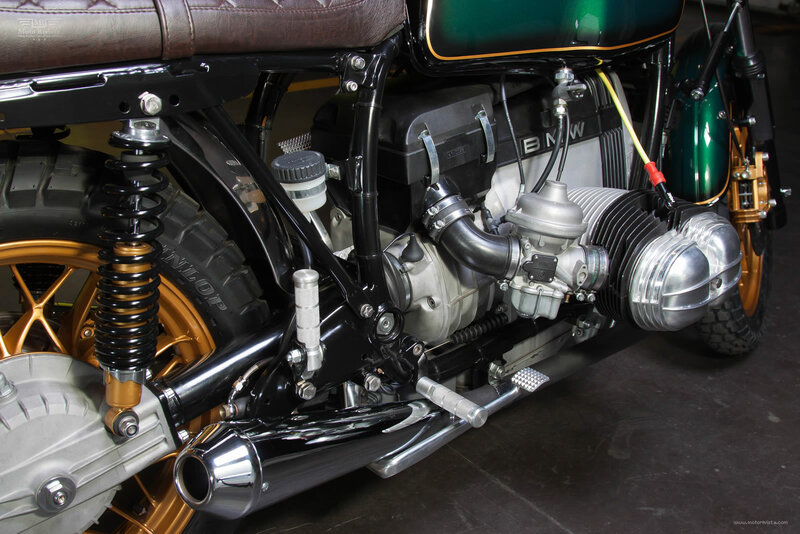 The electrical system on this BMW R100RS custom has been completely overhauled, eliminating unnecessary parts and adapting it to couple with the new gauge. The battery is situated under the gearshift and lightens the central part of the assembly. 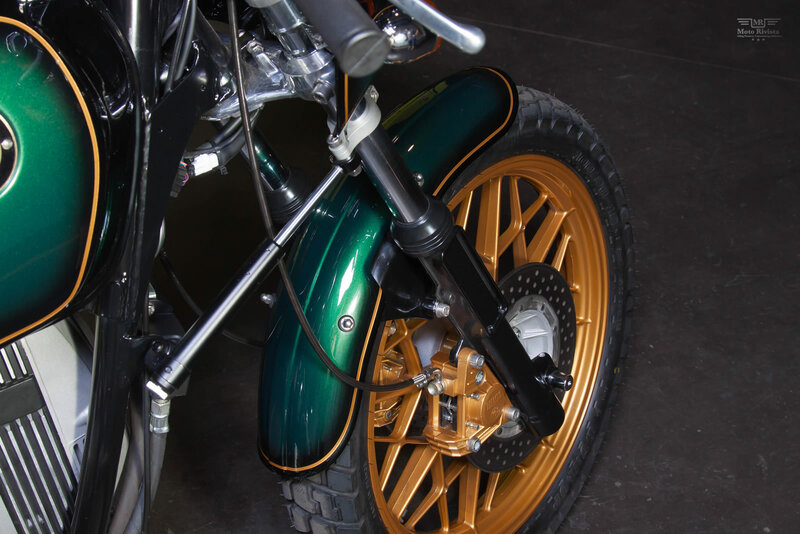 With respect to the chassis, the original front fork and rear shock absorbers have been maintained, and a steering damper has been fitted on the right side. 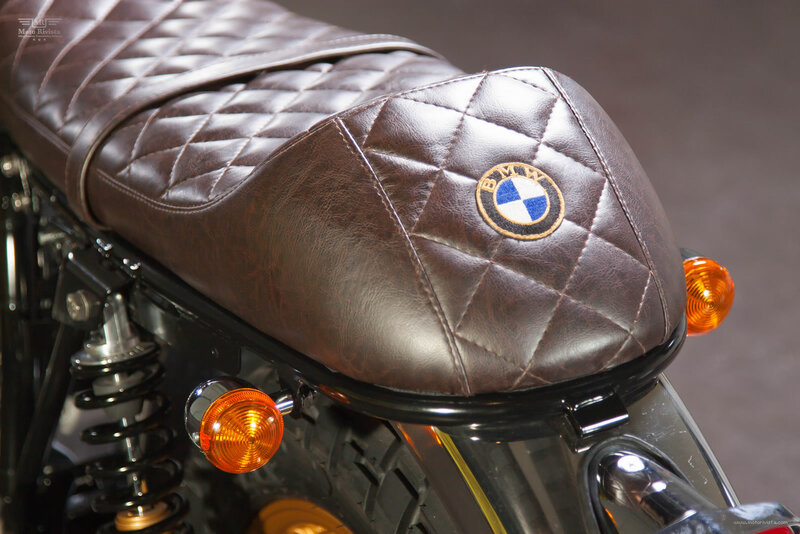 The tail-end of this BMW R100RS features a custom designed folding and lockable seat cowl designed to store documents safely. 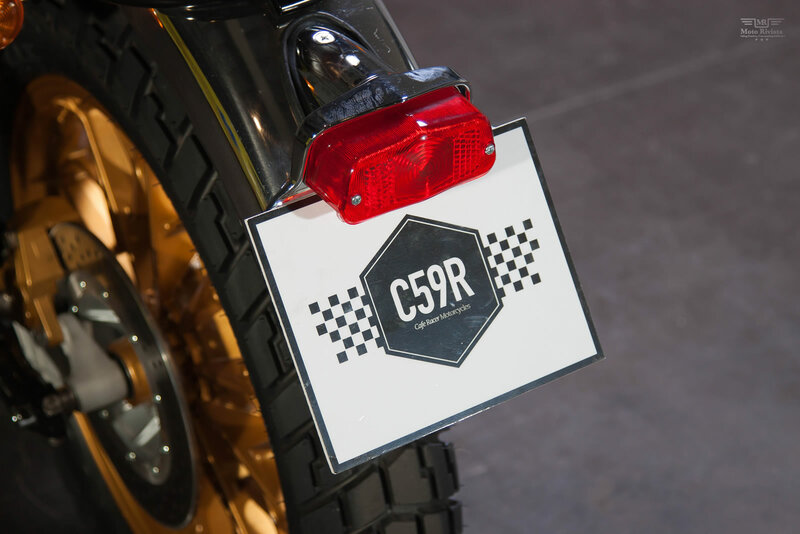 Also a specially manufactured aluminium rear fender and short taper exhaust with handcrafted DB Killer which gives the C59R.4 a loud and elegant tone. 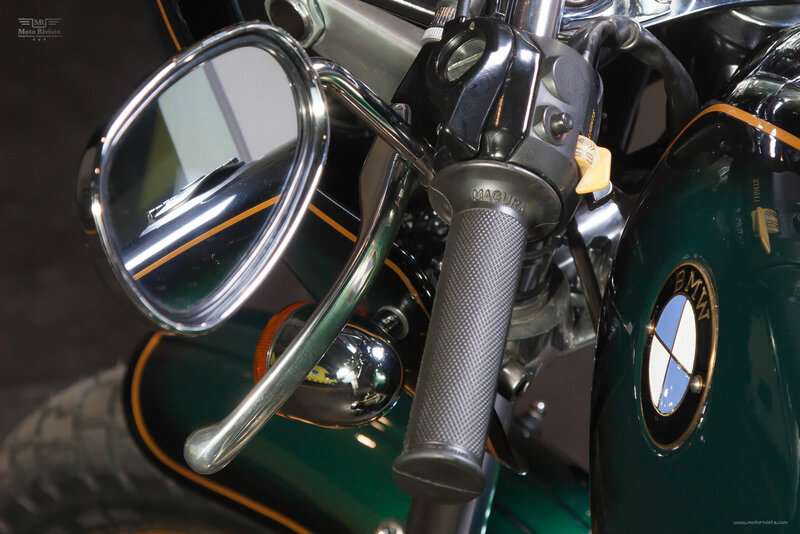 The tank, fairing and front fender have been painted in British Racing Green with BMW black shading and Vermeer gold outline to go with the wheels, the body of the rear shocks and the brake calipers.